“Venezuelan authorities say a U.S.-owned air freight company delivered a crate of assault weapons earlier this week to the international airport in Valencia to be used in “terrorist actions” against the embattled government of Nicolás Maduro. “..authorities found 19 assault weapons, 118 ammunition cartridges, and 90 military-grade radio antennas, among other items. Now granted, this is but a small shipment, but realize that the aircraft was making multiple flights a day between Miami and Venezuela. This series of shipments could also possibly be a diversion to mask other shipments that are run by a larger arm of the intelligence agencies. In a follow-up article by McClatchy the air cargo company “21 Air” firmly denied being the sponsor of the shipments. It is common for aircraft to be disguised behind a practice known as “wet leasing”, in which other entities are responsible for the cargo and deniability is maintained. “A lawyer for 21 Air, Alberto N. Moris, said Friday that the company was never formally notified by Venezuela of any arms seizure and had no knowledge of the cargo that was aboard its plane since it had been chartered by a second company. “Meneses said any cargo that GPS-Air would have consigned to 21 Air came from third parties. “The cargo doesn’t belong to 21 Air and it doesn’t belong to GPS-Air,” Meneses said. 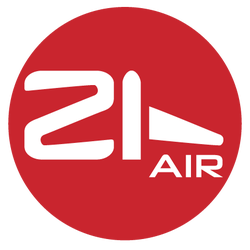 Now is where it gets really interesting: McClatchy reports that 21 Air was formally named “Solar Cargo”. “The company 21 Cargo used to be known as Solar Cargo, and was affiliated with a cargo company by the same name that was started in Valencia in February 2001. That business operated in Florida as Solar Cargo C.A., according to court and state records. But Moreno was forced to change the name of his company last fall when Solar Cargo C.A. severed its relationship with Moreno. “Eight foreign nationals were indicted in Miami on federal money laundering charges for allegedly embezzling over $1.2 billion from PDVSA, Venezuela’s state-owned oil company. So we have multiple daily “21 Air” flights between Miami and Venezuela, now with weapons seized. 21 Air says the cargo belongs to “GPS Air”. GPS Air says the weapons belong to an unnamed third party. Additionally, McClatchy names two 21 Air officials who also worked at Gemini Air Cargo. Based at Dulles International Airport in Virginia, the firm was acquired by The Carlyle Group in 1999. This entry was posted on February 10, 2019 at 8:13 pm and is filed under Tell the truth and run !. You can follow any responses to this entry through the RSS 2.0 feed.